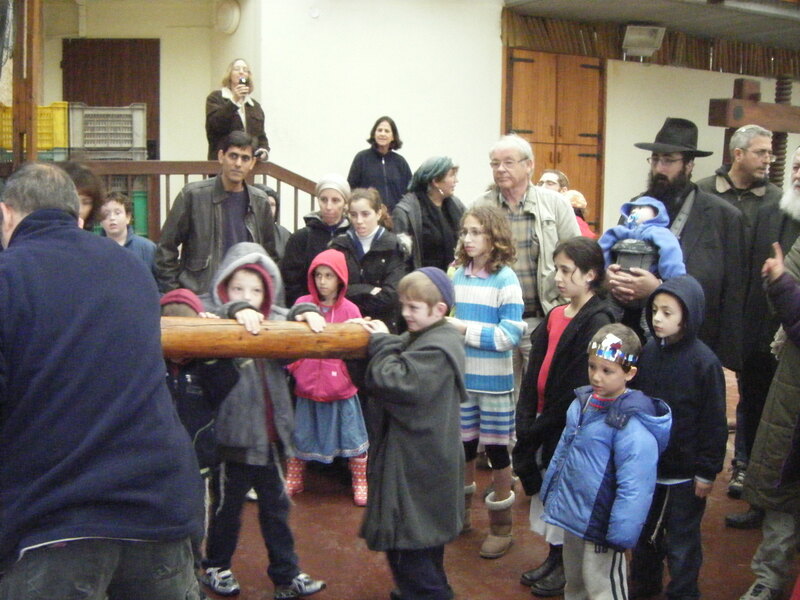 During Hanukah, Nefesh B’Nefesh arranged a special Go North tiyul to Ein Dor, a kibbutz near Afulah where we learned about each other, the process of making olive oil and some local history. 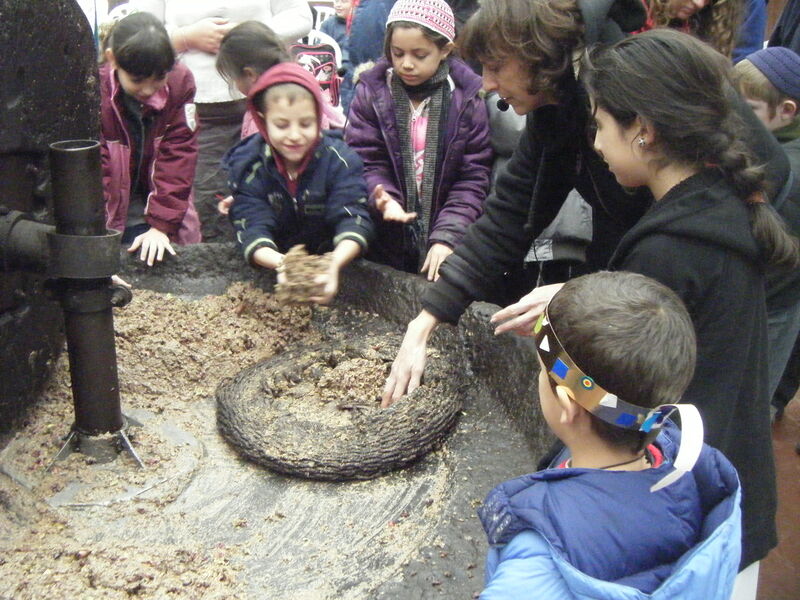 In the first segment of the program, groups were formed by age – kids, teens and adults – and it allowed new olim a chance to share their experiences with each other. We however, didn’t make it on time and missed that experience. 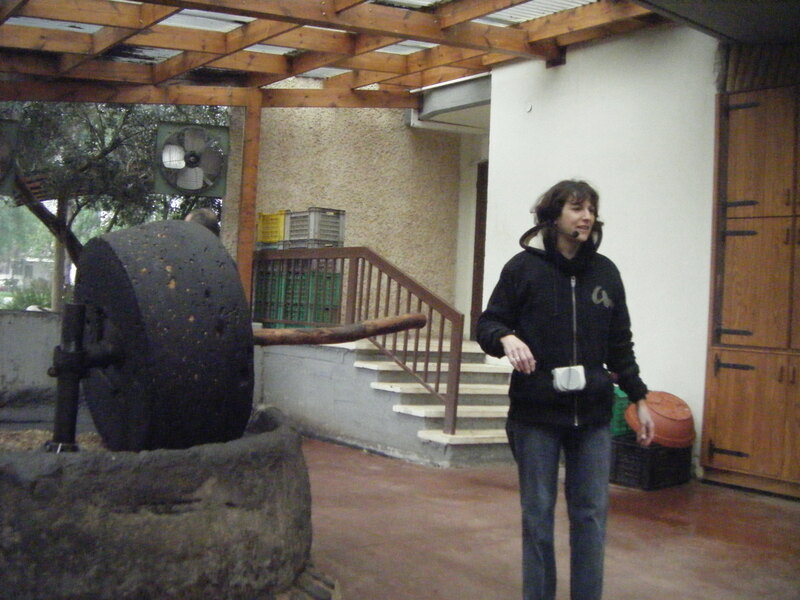 After lunch, which is when we arrived, it was time to learn about olive oil and how it is made. The “beit baad” that was used was found locally some time ago and was said to be 1600 years old! 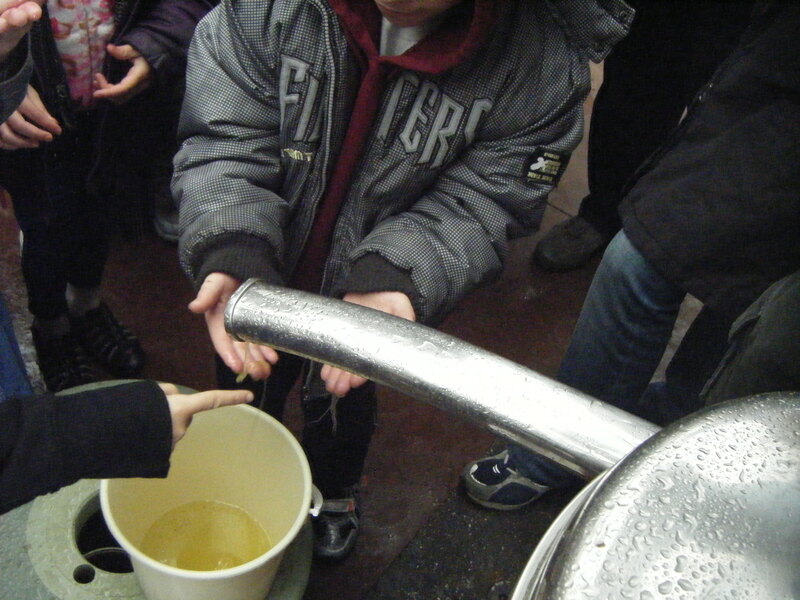 Everybody got a chance to get their hands dirty, or oily, in the process of making olive oil. Seeing the process first hand gave me a deeper appreciation for how it was made over the millennium, and the great efforts involved to produce something that we just grab off the grocrery store shelf. 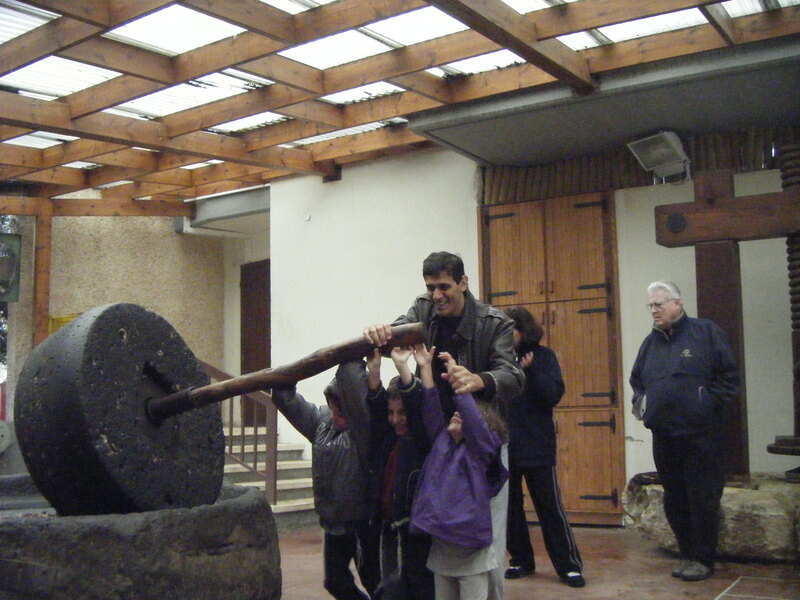 After the olives were crushed in the beit baad, they were packed in woven baskets and stacked on the base of the vertical screw press, and then squeezed to extract the mixture. The mixture was then fed into a centrifuge with a steady flow of water and the oil got separated while the water was discharged. As the oil was drizzeling out we got a chance to taste it or rub it on our hands. Delicious! After the olive oil pressing demonstration, we split into two groups – taking turns at the museum to look at ancient pots, bowls, tools, etc. and painting clay vessels and making necklaces out of olive wood. A very fun and educational outing!